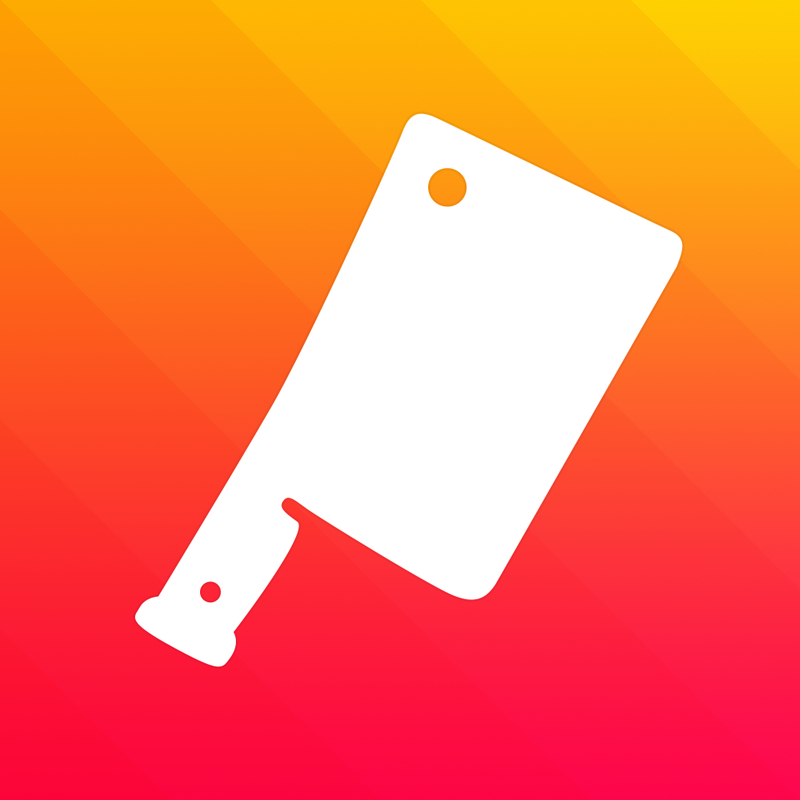 Cook - The World's Cook Book (Free) by Cook App Pty Ltd is a gorgeous new cookbook app that focuses on making cooking a little bit more social. Even though we have apps like Basil and Paprika, neither of them really make the experience social — it’s more of your own cookbook, where you can share individual recipes with others. Cook comes in with a different approach. Since iOS 7, many apps have gone the way of the steamroller — flat and natural looking, though some are merely poorly thought out reskins. Cook does not fall into the latter. The icon itself is colorful, fits in well with the aesthetics, and is pretty eye-catching overall. It even reminds me a bit of how Clear’s icon looks. The app itself features a gorgeous interface filled with bright colors, icon-only buttons, and fantastic typography. 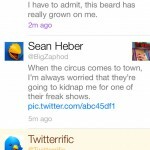 It’s designed to be intuitive on the iPad, and is an actual pleasure to use. I did find it a bit choppy at times on my iPad 3, however, but I understand that it is how iOS 7 feels overall on it. 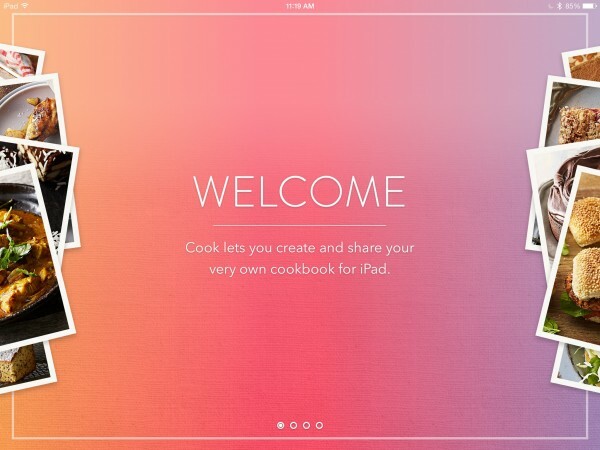 In order to use Cook, you will need to have an account. 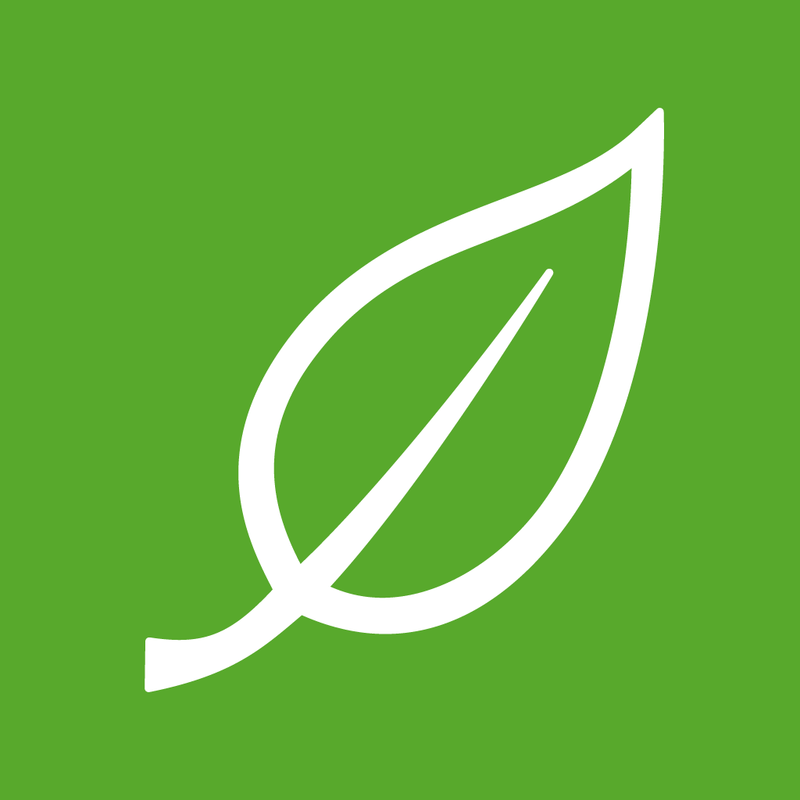 Signup is easy, requiring just your name, email, and password. You will then find your “bench,” which showcases all of the cookbooks that you have added. To customize your book, just tap on the pencil icon in the corner of the cover. You can change the title of the book, the color of the cover, and even the graphic that adorns the front. While I personally enjoy these simple white silhouettes, I wish that you could use photos to customize them as well. 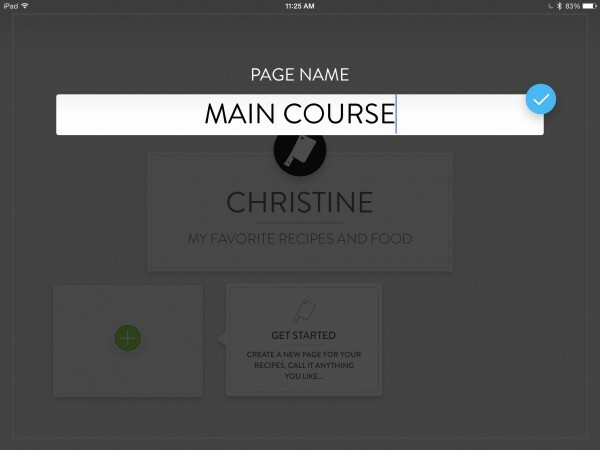 To begin filling your cookbook, just open it up and then tap on the “+” button to add a new section. Give it a name, and then tap on it to open. 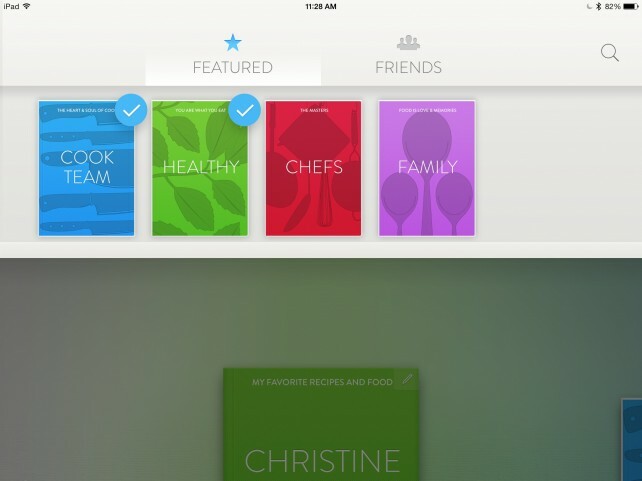 When you’re in the section you want, tap on the button in the top right to add a new recipe. 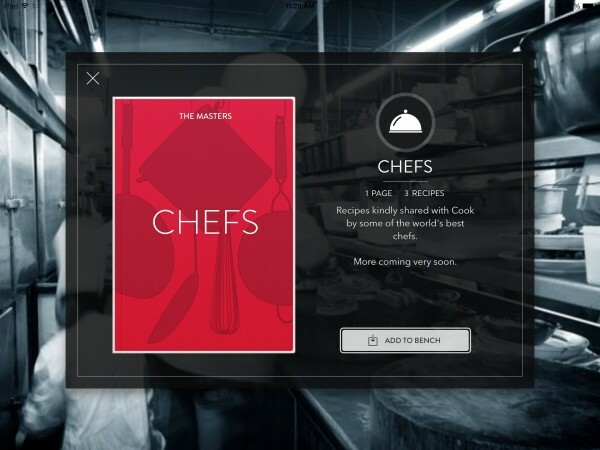 The Recipe Detail screen will give you a toggle for private or public viewing (available only when you friends add your book to their bench). 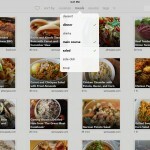 You can add a photo, title, and a description of the recipe. The description field is pretty nice, giving users complete freedom to add what they want. This means you can add an anecdotal background to the recipe, if it is a treasured family recipe or something to that effect. 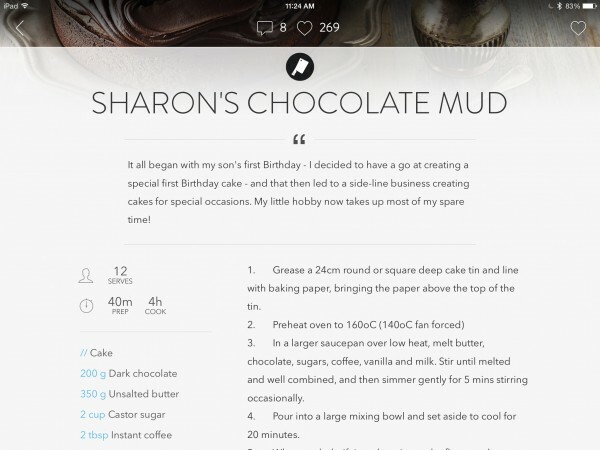 Cook gives users the option to give their recipe a bit of personality, which is a nice touch. The final part of the recipe is adding the recipe itself. You will have to type all of this in yourself, but when you tap on the section, it splits up into three: Servings and Cook/Prep Time, Ingredients, and Method. I’m sure if you have your recipes saved somewhere already, you could try to copy and paste them into Cook. Otherwise, everything has to be typed in by hand. 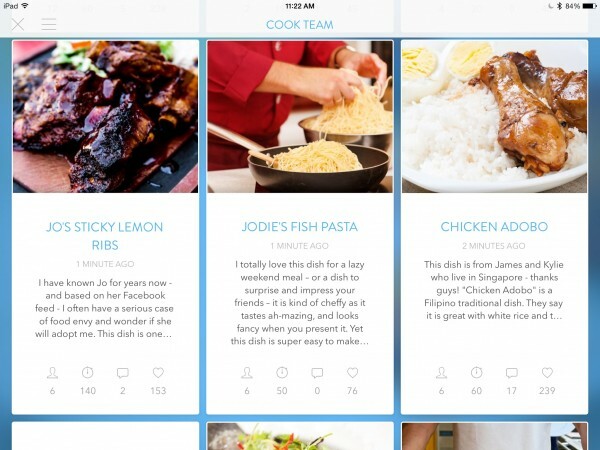 This is a fantastic app for those who like to create their own recipes, but if you prefer to find recipes from websites and save them for later, then this is not your cookbook app. 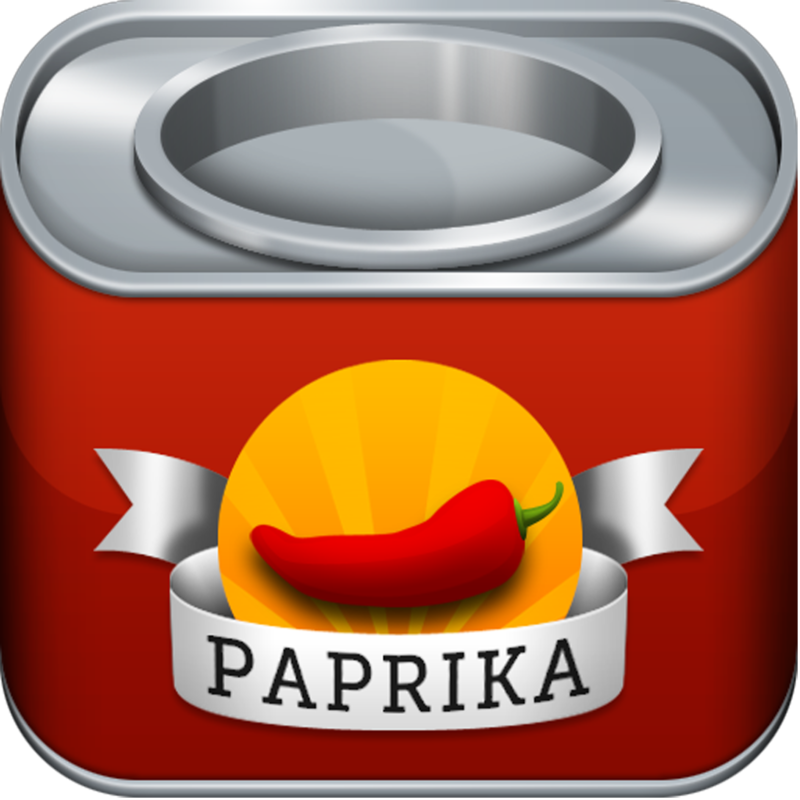 Currently, there’s no way to browse for recipes and save them in the app, as you could do with Basil or Paprika. So if that’s what you’re looking for, then you are better off with one of those apps instead. 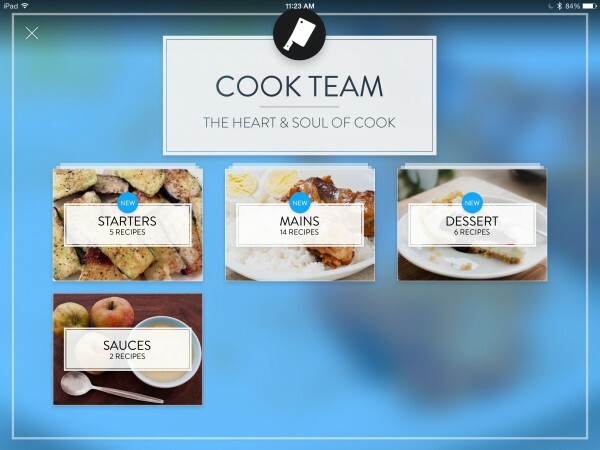 By default, all users will have a cook book from the developers in their bench. 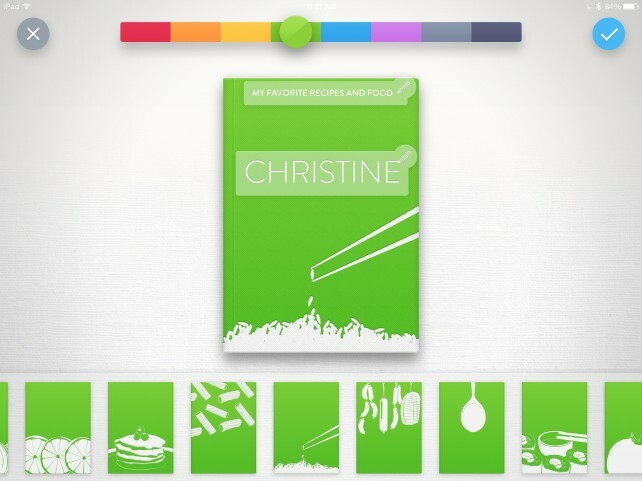 You can view this to get ideas, and even view their included recipes. These can be commented on or given likes as well, which is the nice thing about the social aspect. If you’re looking for more books to add, just return to the bench, and then pull the screen down a bit. You can view Featured cook books, and even view the ones your friends have created. 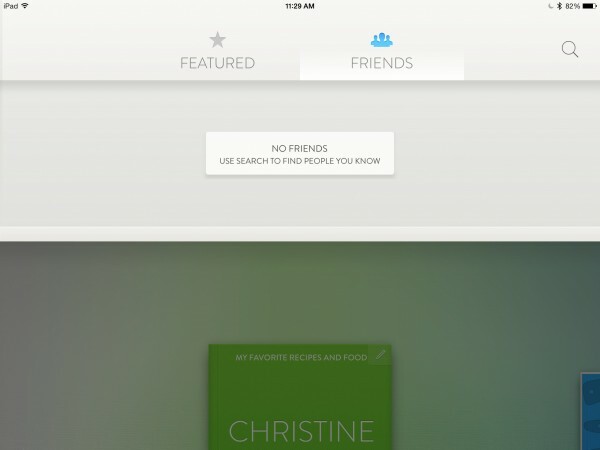 If you know someone who is already on Cook, you can search for their username. 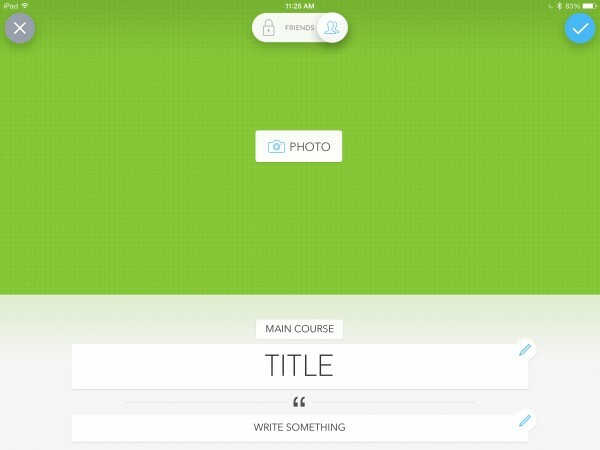 Pulling the screen up while on the bench will reveal a small menu tray, where you can change the theme (Reflect or Oppose), log out, and get support. I am really enjoying what Cook – The World’s Cook Book has to offer. It combines custom recipes and the social aspect, so that other people can discover brand new tastes. It’s beautiful, feels natural on iOS 7, and is quite easy to use. However, I do wish that the app allowed users to browse the web and save recipes quickly that way, but that is what other apps are for. 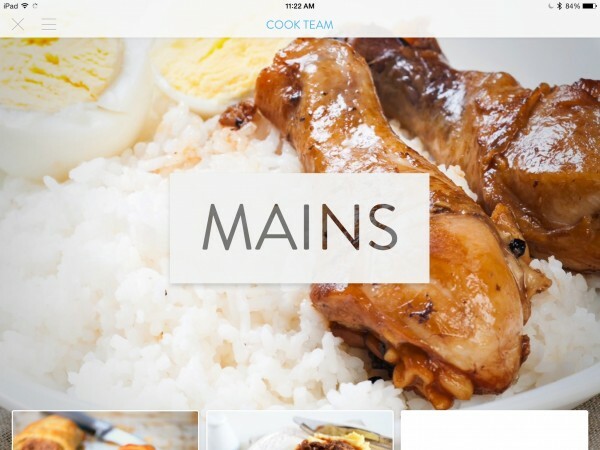 For what it’s worth, Cook is a fantastic app for those who have their own recipes that they want to share or pass down to others. 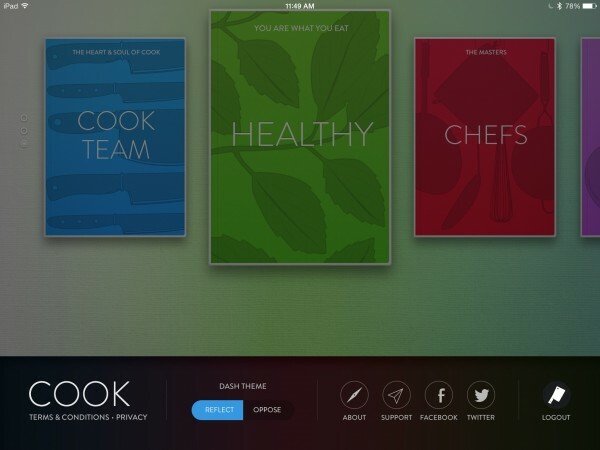 You can get Cook – The World’s Cook Book in the App Store for your iPad for free.